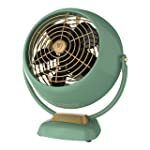 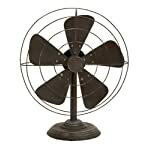 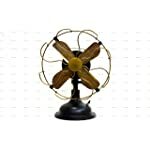 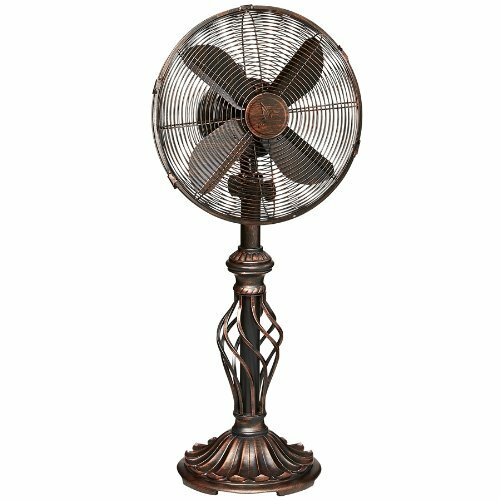 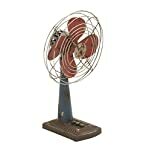 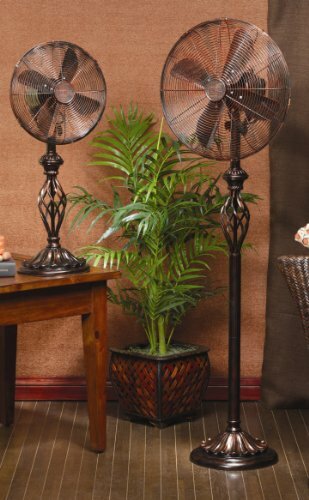 Deco breeze prestige rustica table top fan. 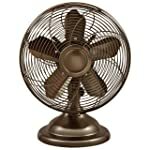 12-inch fan head. 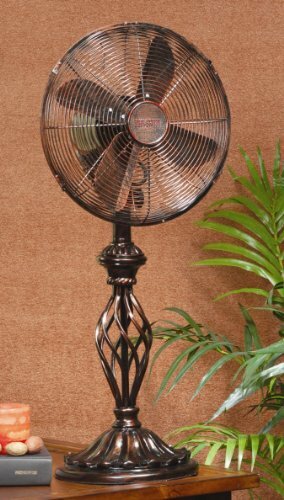 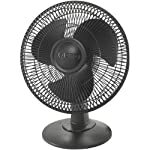 Decorative and functional oscillating fan with a whisper-quiet 30 watt motor. 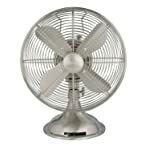 Three-speeds - low speed is 900 rpm; the medium speed is 1100 rpm; the high speed is 1280 rpm.